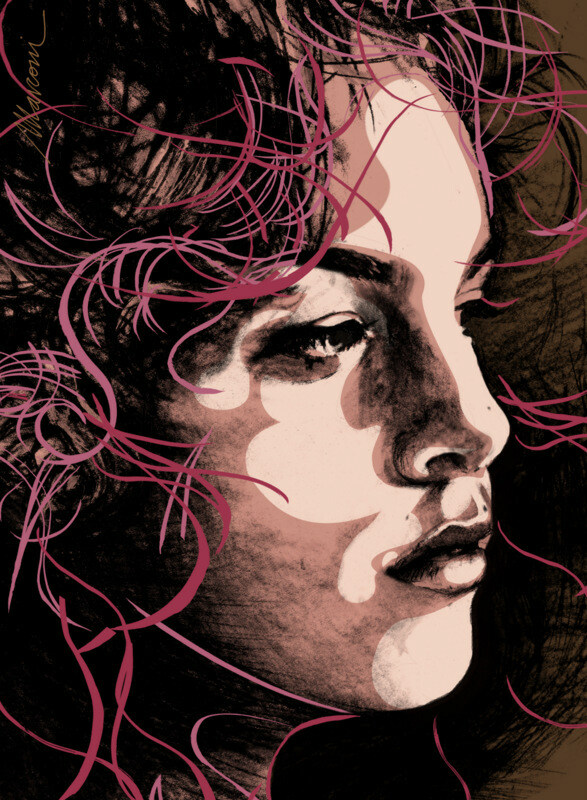 Illustration of Brazilian singer Céu commissioned by the Rolling Stone magazine. 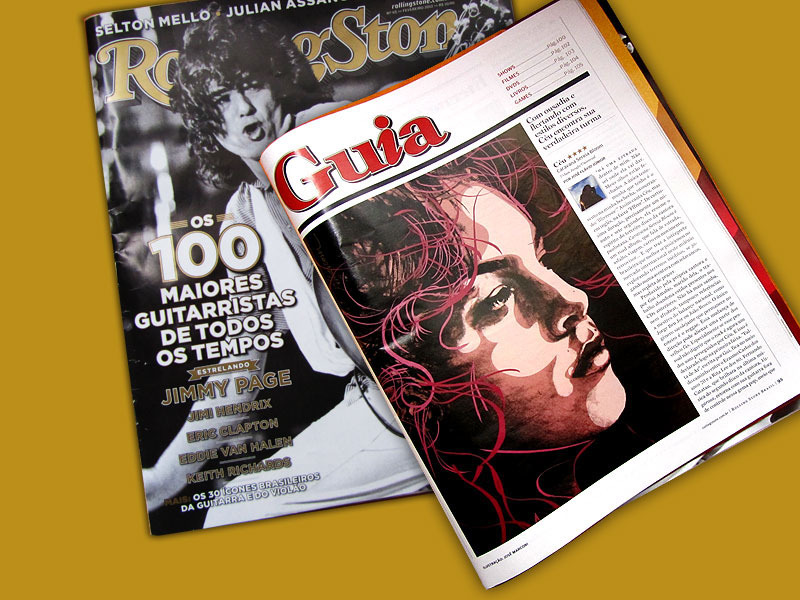 An illustration comissioned by the Brazilian version of Rolling Stone magazine. According to Wikipedia, Céu (Portuguese pronunciation: [sɛu]), whose full nameis Maria do Céu Whitaker Poças, is a Brazilian singer-songwriter whose firstAmerican album was released on the Six Degrees Records label in April 2007. Shewas born in São Paulo, Brazil on April 17, 1980, into amusical family, her father being a composer, arranger and musicologist. Originally issued in 2005 on the São Paulo-based UrbanJungle, Céu was picked up by Six Degrees/Starbucks/Hear Music in the US and UK,JVC in Japan and HarmoniaMundi in France and in the Netherlands.Céu received a Latin Grammy nomination for “best new artist” of 2006 and aGrammy nomination for "Best Contemporary World Music Album" of 2007.